Built-in, powerful digital amplifierPowers large or small speakers with 55W per channel. Class-D amplifierState of the art, great sounding amplifier is small, lightweight and very energy efficient. Radiant coolingOperates silently – all you hear is the music, as the amplifier is kept cool by the aluminum casing, not by a noisy fan. 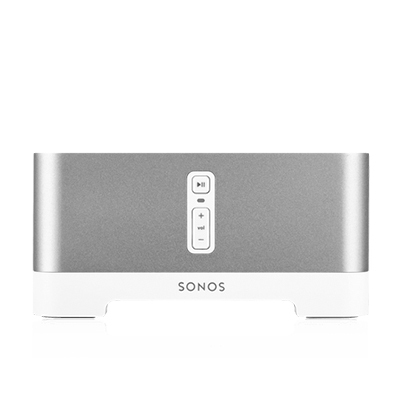 Tone and volume controls adjustable for each roomOptimise sound performance for each room using room-specific bass, treble, balance, and loudness controls. Adjust volume by individual room or by groups of rooms. Subwoofer output with automatic crossoverWhen adding a subwoofer, the CONNECT:AMP automatically adjusts the output to send the low frequencies to the subwoofer and the high frequencies to the speaker.